Denim has to be the most popular fabric in the world, as everyone owns at least one pair of jeans. And why wouldn’t you? They’re durable, versatile and can be very stylish. Sometimes, no matter how much you love your favourite pair, they get too old and shabby to wear or they don’t fit anymore. But in most cases the material is still reusable and can be used for a variety of different projects. 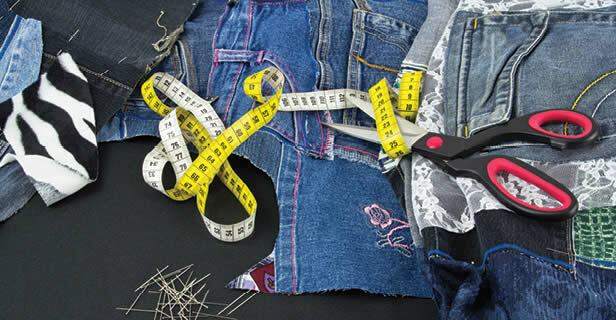 We’ve compiled a collection of 10 unusual things you can easily make with old pairs of jeans. Some will require more skill than others, but we’re sure there will be something for everyone. Don’t forget to share your creations with us on social media!